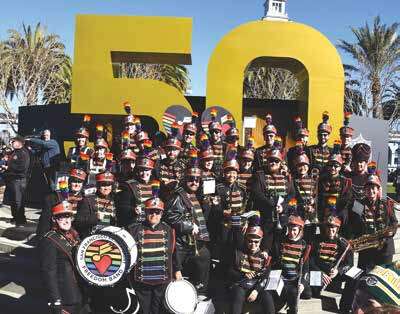 The San Francisco Lesbian/Gay Freedom Band (SFLGFB), like the San Francisco Bay Times, is celebrating its 40th anniversary this year. Soon there will be another milestone to commemorate. An ordinance authored and introduced by Supervisor Rafael Mandelman is set to designate the treasured community-based concert and marching band as being the official band of the City and County of San Francisco. The designation adds to similar honors stacked up over the years. In 1998, Supervisor Tom Ammiano, on behalf of the entire Board of Supervisors, formally declared that SFLGFB was “The Official Band of San Francisco.” This was at an event held at Yerba Buena Gardens during the Band’s 20th anniversary year. Ammiano noted SFLGFB’s dedication to community service. The Board of Supervisors repeated the honor in May 2003 at the Band’s 25th anniversary concert, The Beat Goes On, at Everett Middle School Auditorium. This was the site of the Band’s first formal concert in December 1978. “To understand the importance of the Lesbian/Gay Freedom Band to our city, it’s helpful to begin at the band’s founding, some 40 years ago. At that time, Anita Bryant’s anti-gay crusade was at its worst, and in a real sense, to be queer was to be under attack. 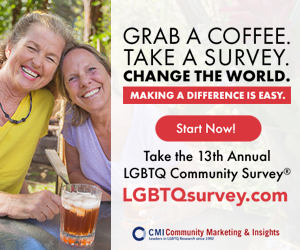 In response, both as an affirmation of our identity and a celebration of our culture, the Lesbian/Gay Freedom Band was formed and became the first openly gay music organization in the world. From their first performance marching in front of Harvey Milk’s contingent at the 1978 Pride Parade, to their 40th Anniversary celebration earlier this year, the Band has been a cultural mainstay in San Francisco. They have performed at the inaugurations of three San Francisco mayors, the historic and nationally televised San Francisco Domestic Partners’ Ceremony and were featured on the steps of City Hall in the movie Milk. They have also proudly represented our city and brought our commitment to equality to events across the country, including three marches on Washington for LGBT rights, the 1997 National Conference of the United Methodist Church and the inaugurations of Presidents Clinton and Obama. We congratulate SFLGFB on this and so many other achievements, and hope to see many of you at this year’s Dance-Along Nutcracker on December 8–9 ( http://sflgfb.townalive.com/season-events/2018-dance-along-nutcracker/ ) at the Yerba Buena Center for the Arts. Here’s to another 40 years +!